Kentucky fan Katie Hensley now lives in Boston and was recently in Ft. Lauderdale for vacation with her boyfriend and his family to see the Colorado Rockies open the baseball season. She had lived in Colorado for a couple of years and thought it would be a fun trip in warm weather. Since the NCAA Tournament was going on, she was looking for somewhere to watch games and the bar was full at the hotel where she was staying. Luckily, there was a hotel next door with a bar and grill. The Marion Middle softball team won the Lakers Invitational tournament in Russell Springs on Saturday. Marion Middle defeated Green County 11-5 in the championship. Eight teams competed in the single elimination tournament. 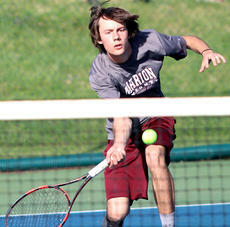 The Marion County Knights began last week with a solid performance against John Hardin on April 9. The girls won four of five matches, while the boys took three of four matches. In girls singles, Ireland Cassidy defeated Brooke Graham 8-0, Emily Gordon defeated Erin McGlone 8-4 and Haleigh Crepps defeated Sarah Abdollatif 8-3. The Marion County Knights finished 2-2 this week, dropping two games to the Campbellsville Eagles while also winning one against the Eagles and DuPont Manual. Marion County won the series opener against Campbellsville 9-8 on April 9, but dropped the second game, 12-2, on April 10 and the third game, 12-9, on April 11. On March 16, 2018, a little-known school from Baltimore, Maryland, making its second ever appearance in the NCAA Tournament, pulled off the unthinkable: it became the first 16 seed to beat a No. 1 seed in the NCAA men’s basketball tournament. The UMBC Retrievers trounced the Virginia Cavaliers 74-54 in that game, forever etching their name into college basketball lore. They would forever be known as the team that beat Virginia—the top overall seed in the 2018 tournament. The Marion County High School track and field team continued to find success this week, beginning with a meet on April 9 at the Thomas Nelson All-Comers Meet. The Knights had 20 top-five finishes in the meet—including seven first or second-places finishes. 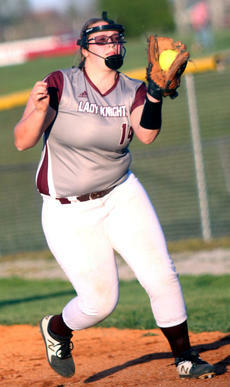 The Marion County Lady Knights set a goal this season to go undefeated in district play. After a 6-1 win over Taylor County on April 9 and a 6-0 win over Adair County on April 10, the Lady Knights have a 2-0 district record. Montrelle Irvin has resigned as Marion County High School’s head boys basketball coach after eight seasons. Irvin is returning to his alma mater, Taylor County, as its next boys basketball head coach. 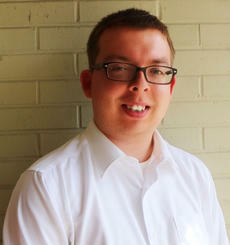 Irvin, a 1996 Taylor County graduate, takes over for Jeff Gumm, who served as Taylor County’s interim coach last season. Last season, Gumm led Taylor County to a 23-8 record, a district championship and an appearance in the regional final. Taylor County defeated Marion County 71-58 for the district championship in February at the Roby Dome.